As a corporate services attorney, Fred Lautz is obviously a business lawyer, but it might be more accurate to call him a “legally licensed businessman.” He continues to practice corporate law, but he is fully ensconced at Quarles & Brady’s helm, supervising the partnership, guiding the firm’s strategic and operational growth, and working hand-in-hand with the firm chairperson to chart Quarles’ long-term course. Fred maintains a singular focus on business objectives, searching out systems that work and don’t work, continuously conferring with the partners to maintain a strong sense of developing trends and themes, paying close attention to the numbers, and even more importantly, paying attention to what they mean. First and foremost, Fred views Quarles & Brady as a business concern and guides it accordingly, leveraging his position as the former managing partner and member of the governing Executive Committee to grow the firm as a model of 21st-century legal services. 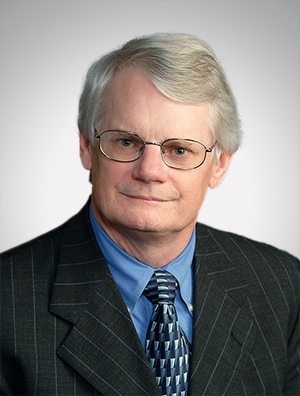 Fred practices law in the areas of mergers & acquisitions and corporate finance & securities, working with clients of all types and sizes, including financial institutions, mutual funds, and manufacturing, retail, distribution, and professional services companies. He advises businesses on corporate governance matters, buy/sell agreements, executive and equity compensation programs, general operational matters, and securities offerings (including public and private offerings of equity and debt securities). His experience representing mutual funds and investment advisors includes organization and initial registration, board composition and corporate governance matters, regulatory compliance, share distribution structures and relationships, and acquisitions and reorganizations. Fred is a central driver in the firm’s culture of commitment to helping its clients; in fact, he considers it essential for Quarles lawyers and staff to help one another, and for the firm to be helpful to the community, as well as helping the firm’s clients sleep better at night. He is zealous for continuous improvement, patient only as long as the needle is moving in the right direction, and fearless of change where change is necessary, regardless of the institutional depth of the status quo. Recognized as Best Lawyers® 2018 Milwaukee Securities / Capital Markets Law "Lawyer of the Year"
Recognized as Best Lawyers® 2012 Milwaukee Mergers & Acquisitions Law "Lawyer of the Year"